Known also as The Rose of the North, famous for its rich history, culture and great food, Chiang Mai offers a rare blend of small town charm and modern city comfort. Nestled amongst lush mountains 700 km north of Bangkok, the city is the main gateway to northern Thailand as well as a major travel hub to surrounding Laos, Cambodia, Burma and China. Its busy international airport which is serviced by 17 airlines and receives more than 3 million passengers every year is consistently voted amongst the top airports in the world. Close to a million people live in and around Chiang Mai (the city itself has a population of 170,000) including a vibrant expat community that is 40,000 strong. 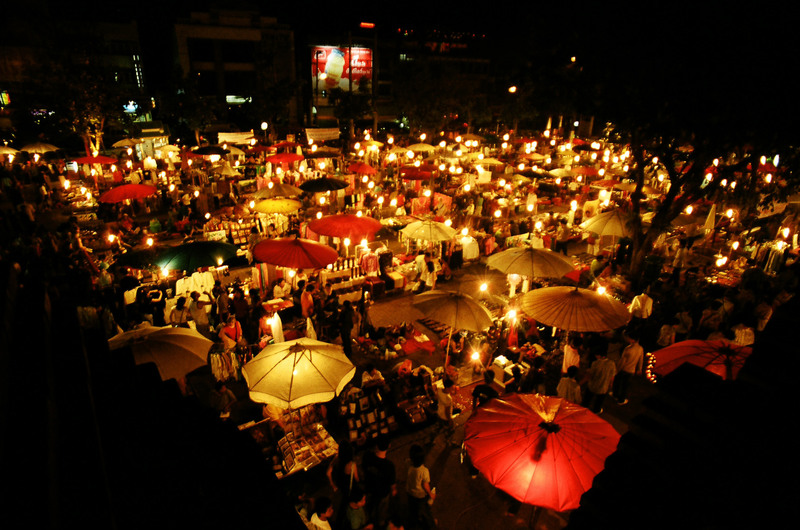 Indeed, Chiang Mai is growing steadily and becoming increasingly dynamic and modern in the process. Yet, it somehow remains deeply rooted in its Buddhist traditions making it perfect for anyone seeking a more balanced lifestyle. In addition to its laid back atmosphere, there are several features that make Chiang Mai a very desirable destination for expats. Despite some increase in recent years, basic costs of living such as food, rent and utilities, remain low in terms of major western currencies. The same goes for the prices of most goods and services, allowing expats in Chiang Mai to live very comfortably. On average, the city is also cheaper than Bangkok and many of the popular spots in the South such as Pattaya and Phuket. Chiang Mai is great foodie city that just keeps getting better all the time. Aside from the a seemingly endless array of fantastic and insanely cheap street food, the city is constantly adding new and exciting dining options. From high-end restaurants serving sushi, European and modern Thai-fusion cuisine, to cozy neighbourhood joints offering anything from local staples to ethnic delights such as Burmese, Chinese and middle-eastern food, it is all there waiting to be explored. Famous for its colourful markets offering everything from fresh produce, to tribal crafts and household items, Chiang Mai is also home to hundreds of trendy boutiques specializing fashion, art, jewelry and everything in between. On the other end of the spectrum, a full array large surface shopping outlets, two large modern malls, and several western style supermarkets assure that foreigners’ shopping needs are well met on every level. Numerous nature parks and picturesque village areas surround the city, making escape amidst the breathtaking Thai nature a matter of a short drive or ride. 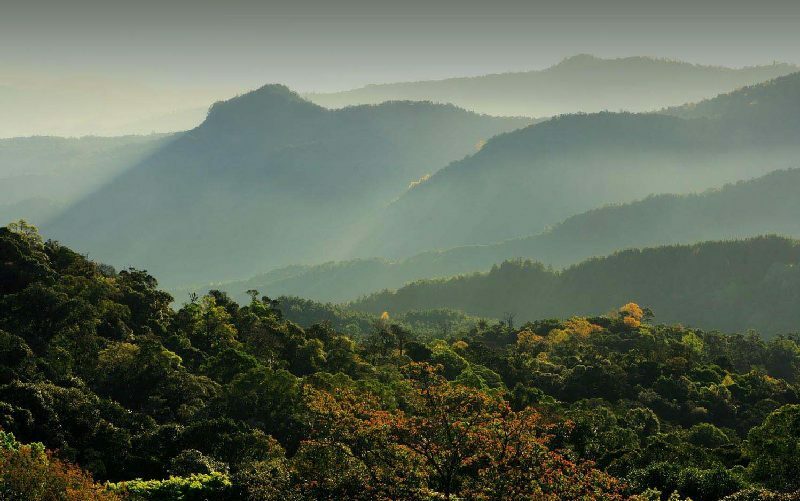 The green mountains around the city offer abundant options for fans of outdoor adventure: motocross, mountain biking, rock climbing, hiking and even zip-lining across the rainforest canopy, it is all easily accessible. For those who prefer more passive forms of recreation, pampering options are abundant and affordable. Spas, massage parlours and wellness centres offer exceptional value for the money. The surrounding area is also home to dozens of world class meditation and yoga retreats. The city is well connected both internally through it’s quality roads and to the world via very affordable hourly flights to and from Bangkok. Getting around town is a breeze whether one is using a personal vehicle or the affordable and surprisingly efficient public transport system consisting of shared taxicabs. 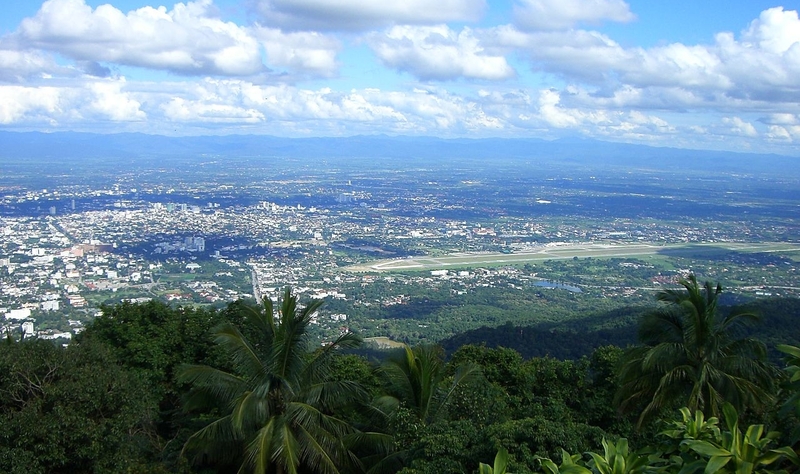 Chiang Mai is also one of the safest cities anywhere on the planet. When you combine that with it’s rich culture, beautiful natural surroundings and the warmness of its people, it is easy to see why so many expats continue to choose Chiang Mai as their home in Thailand.